Dixie Maru Cove is a small but beautiful crescent-shaped beach with white sand on Molokai's west shore. 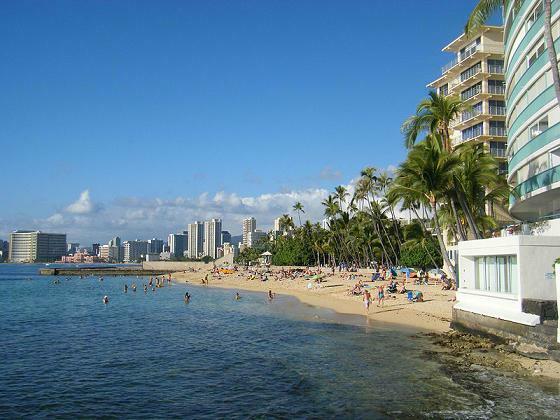 The area was originally called Kapukahehu Beach but was renamed Dixie Maru Cove after a Japanese sail boat got wrecked offshore in the 1920s. The name Dixie Maru Cove stuck probably because it's easier to pronounce. 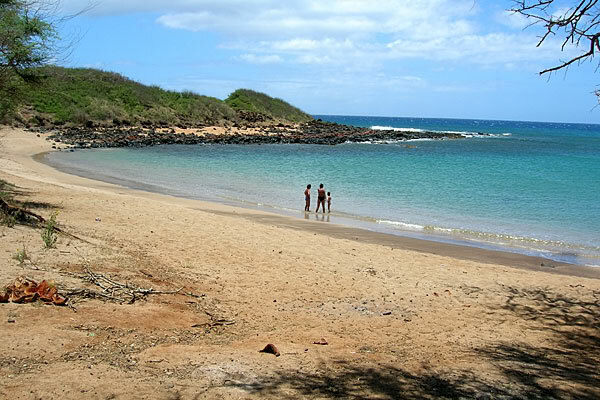 The beach offers one of the best swimming spots in Molokai. 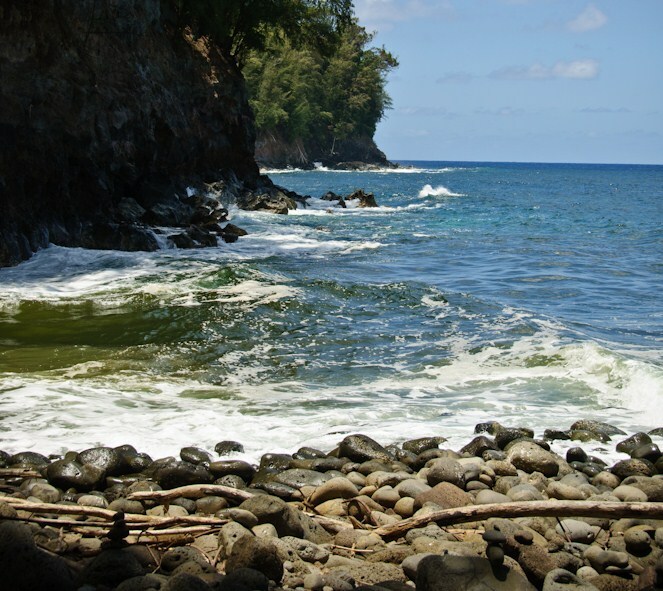 The water is generally calm due to outcroppings of lava on each side of the beach and a fringe of coral reef that protects the beach from ocean swells. The water is also teeming with marine life, a spectacular spot for snorkeling. Snorkelers can swim to the wreck of Dixie Maru and a nearby abandoned large anchor. There are no life guards on this beach so look after your companions who are swimming or snorkeling. The water is safe as long as you don't venture beyond the mouth of the cove. The current and waves beyond the reef could be treacherous. The fine white sand provides excellent spot for sunbathing, picnics and leisurely strolls. There are also shaded parts thanks to the lush trees behind the beach. There are kiawe trees which are notorious for their thorns so be careful when picking a shady spot under one of the trees. Also wear shoes to avoid stepping into the fallen thorns. Dixie Maru Cove is located at the end of Kaluakoi Road in Maunaloa in southwestern Molokai.